Evans City Stepping Stones, a before-and-after-care program at Evans City Schools, donated 40 blankets and 54 dog toys for the community service project, A Gift from a Warm Heart. Evans City Stepping Stones, a before-and-after-care program at Evans City Schools, donated 40 blankets and 54 dog toys for the community service project, A Gift from a Warm Heart. The blankets were given to Children’s Hospital and the dog toys to the Butler Humane Society. The idea for the project came from Stepping Stones group supervisor Valorie Burns, who donated the material for the first six blankets and taught students how to make them. Across the North Hills School District, students and staff members participated in service activities throughout the holiday season. They donated thousands of items for various food drives, as well as 60 athletic balls for homeless children; $5,260 worth of gift cards for North Hills families; nearly 50 handmade blankets to a local assisted-living and senior nursing facility; 3,760 items ranging from socks to DVDs for the Veterans Affairs Pittsburgh Healthcare System; more than $5,000 to the Make-A-Wish Foundation; 536 pounds of candy for veterans and U.S. troops; and countless dollars and thousands of items to various area charities including the North Hills Backpack Initiative. Financial and in-kind donations totaled more than $25,000. Two Fox Chapel Area High School students recently won awards at the University of Virginia Model United Nations (UN) Conference. Sophomores Karissa Becer and Albert Liu earned a verbal commendation, equivalent to fourth place. The purpose of the Model UN conferences is to enable students to role-play and simulate countries in the United Nations, debating and trying to solve global problems from the perspectives of other countries. The Shaler Area Varsity Competition Cheerleading Squad finished third in the WPIAL spirit championships at Hempfield High School on Jan. 9, earning one of 15 spots in the PIAA championships in Hershey. AT&T has announced the opening of a new authorized dealer location at 10630 Perry Highway in the Wexford Plaza. 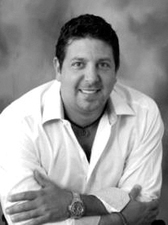 Mid-Atlantic ProTel will be led by industry veteran Logan Bumbaugh and his team of knowledgeable sales consultants who will assist business and consumer customers with purchasing decisions and technical support. Fox Chapel Area High School’s 2014-2015 literary arts magazine, Tapestry, has been named a first-place winner in the 2015 American Scholastic Press Association’s Annual Contest/Review for Scholastic Yearbooks, Magazines and Newspapers. It won first place with special merit in the magazine portion of the competition for outstanding design and content, and 2015 graduate Faith Kim also won the distinction of outstanding artist for her artwork that appeared in the magazine. Seneca Valley juniors Ehlana Lingenfelter and Julia Hoggay received awards in biology and chemistry, respectively, at Seton Hill University’s 28th Annual Women in Science Day. Both were nominated by SV Senior High School science teachers Rebecca Finch and Kelly Weston. The award includes a scholarship opportunity for students planning to attend Seton Hill. Women in Science Day recognizes young women who are juniors from regional high schools who excel in mathematics, biology or chemistry. To help reduce preventable deaths from heart failure, Cranberry Township has installed automatic external defibrillators (AEDs) in its municipal center, waterpark, golf course, maintenance and other public facilities. An AED is a portable electronic machine that automatically diagnoses life-threatening cardiac conditions and uses a combination of voice and visual commands to talk the individual administering the device through its use. For those interested, Cranberry Township’s EMS is also offering a three-hour class combining instruction in CPR and AED on the third Saturday morning of every even-numbered month for a $40 fee. 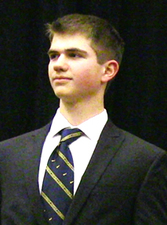 Nathan Vislosky, a Pittsburgh Central Catholic junior and Pine Township resident, was recently elected as the regional president for Future Business Leaders of America (FBLA). Last year, he was a founding member of the FBLA Chapter at Central Catholic, and earned a gold medal in a regional business ethics competitive event. He will compete in the Pennsylvania FBLA State Competition hosted in Hershey, PA, this spring. Haine Middle School raised $1,713 during its second annual HMS Red Ribbon Walk-a-Thon, and split the funds evenly between local community ‘Super Heroes.’ Five organizations—the Cranberry Township Volunteer Fire Department, Cranberry Emergency Medical Services, Allegheny Mountain Rescue Group, Butler County Humane Society and the Super Heroes Foundation—were also invited to an appreciation event at the school. During National Mentoring Month in January, Shaler Area School District expanded its Team Up for Success mentoring program into an additional primary school building. Team Up for Success brings Shaler Area High School student athletes into primary school classrooms to mentor and tutor students, with about 35 total high school students participating. The Aquinas Academy Robotics Club recently participated for the second time in the Western PA First Lego League Grand Championship at La Roche College, where they were required to research a real-world problem related to trash and recycling and participated in the design, building, programming and testing of autonomous robots using Lego Mindstorms technology. The two teams consisted of captains Alex Garcia and Benjamin Stalder, along with Andy D’Angelo, Benjamin Everson, Sam Everson, Enzo Flati, Diego Garcia, Theresa Gates, Grant Kaercher, Rosemary Kenney, Will Kunzman, Adam Ohayon, AJ Yellin and Brad Yocca. The Seneca Valley Academic Decathlon Team earned a total of 23 medals during a recent United States Academic Decathlon (USAD) state level competition held at Gannon University. Teams earned medals in economics, social science, speech, interview and essay. SV’s team placed second overall in the Super Quiz relay out of 24 high schools, and three students from SV — Rishin Sharma, Jacob Geil and Colton Botta — earned a perfect score in subject areas. Kyle Cindrich and Colton Botta were two of the top nine highest scoring students from more than 400 participants. Seneca Valley will compete at Clarion University in February and move on to the state competition at Penn State University in March. The Society of Thoracic Surgeons (STS) has awarded top quality ratings to UPMC Passavant and UPMC Shadyside. UPMC Passavant received the maximum three-star rating for coronary artery bypass grafting procedures, placing it in the top 8.8 percent of hospitals nationally. UPMC Shadyside received the same rating for aortic valve replacement procedures, placing it in the top 9.9 percent of hospitals nationally. Middlesex resident Emil Schultz IV was recently presented with the Seven Seals Award, which is given by the Department of Defense Office Employer Support of the Guard and Reserve (ESGR). It is awarded to recognize significant individual or organizational achievement, initiative, or support that promotes and supports the ESGR mission. 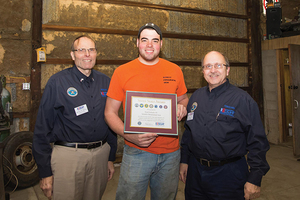 Schultz received the award for volunteering his time and materials to two members of the armed forces, Mariah and Adam Joyce of Beaver County, who he hosted at Schultz Ornamental Iron for a day. 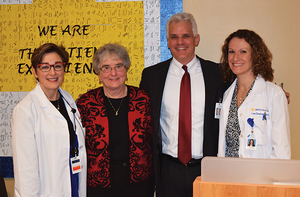 Butler Memorial Hospital Auxiliary President Kay Huemme presented a check for $90,000 to Butler Health System in support of the palliative care program at the auxiliary’s annual meeting. The funds were raised by the auxiliary over the past year in a variety of ways, including proceeds from the hospital gift shop and a variety of sales to hospital employees and the community. The 16th Annual Martin Luther King, Jr. Unity Breakfast Committee has awarded Eli Berman, a senior at Fox Chapel Area High School, with the Spirit of Unity Award. The $1,000 scholarship recognizes community youth in educational programs that promote unity and diversity. Four Fox Chapel Area High School students recently placed in the Brother Rene Sterner Steel City Invitational Forensic Tournament. Junior Ellen Pil won first place in Student Congress and junior Darwin Leuba won second place. Additionally, seniors Julia Lynch and Ishan Khatri won fourth place in Public Forum Debate. Approximately 290 students from 21 schools from western Pennsylvania competed at the event.